Inside of George Washington-Jefferson National Forest stands a 3,766 foot tall mountain peak. Pearis Mountain is located directly outside of the small trail town of Pearisburg,Virginia. The mountain is currently recorded as being the one-hudred and fifty-second highest mountain in the entire state of Virginia. There are many panoramic views from Wilbur Valley and the popular Angels Rest peak is very near by. Many interesting ravines exist where the trail passes directly through while hiking along and on the north slope of Pearis Mountain are numerous collections of wild plant species. One wild plant in particular is the edible and tasty Bellwort plant. The plants stems make excellent substitutes for asparagus. In the past the Native American Indians used the Bellwort plant for treating various skin abscesses and many other flesh wounds. A hiker can expect to have many sightings of monsterous male white tail deer in this particular part of the backcountry. The New River flows through the Pearis Mountain area and is said to be the second oldest river throughout the entire world. It is behind the first known oldest river in the world called the Nile River. Despite the rivers name the New River already existed here long before the Appalachian Mountains ever completely formed. As the mountain ranges formed over time the New River cut through and around the mountains formations. The New River is the one and only river to traverse the entire Appalachian Range. Next time your visiting the Pearis Mountain area be sure to stop and check out the ancient New River. 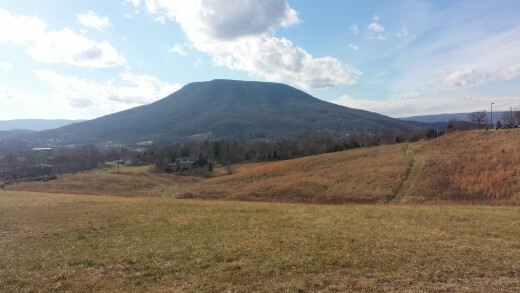 The Pearis Mountain is near the trail town of Pearisburg, Virginia. The Blue Mountain averages roughly 2,270 feet high in elevation, but most of the Ridgecrest never tops 1,400 feet tall in elevation. Currently the Blue Mountain Ridgeline runs for one-hudred-fifty miles through the incredibly rocky state of Pennsylvania and the mountains width varies from one to three miles. 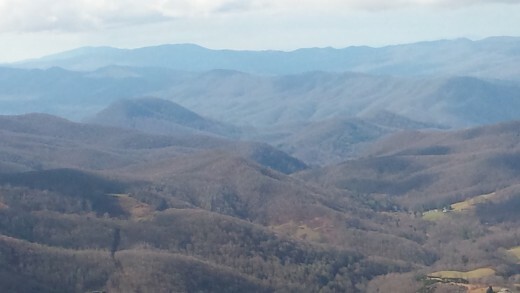 The Blue Mountain forms a natural boundary line between the Great Appalachian Valley and the Ridge Valley Appalachians. 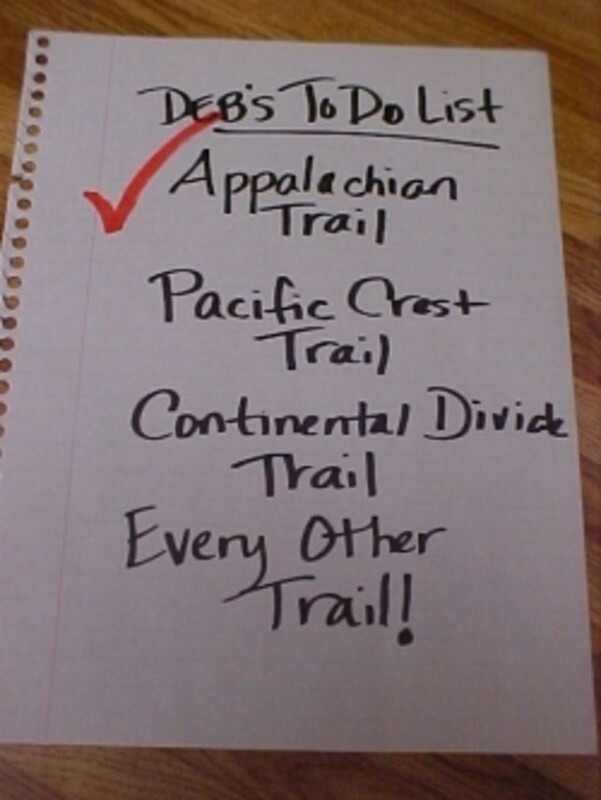 In fact, the Appalachian Trail straddles continuously accross the mountain for nearly twenty-five miles. 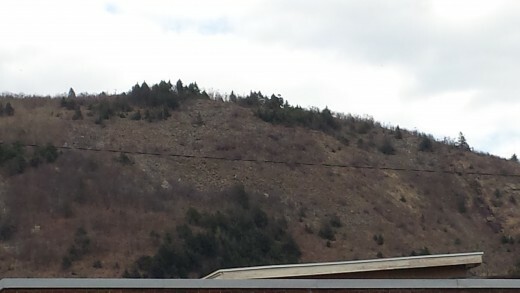 A hiker can expect many exposed rocks with jagged knife-like edges around the mountain. Presently the vegetation is highly scarce along two-thousand acres of Blue Mountain. Many former zinc smelters from the early nineteen-hundreds left behind a toxic legacy upon the people and landscape of the Blue Mountain. The abundance of Industrial activities left behind tons of smeltering residue, much toxic slag, and hazardous waste. According to the Environmental Protection Agency the waste pile stretches for nearly three miles long, one- hundred feet high, and five-hundred to a thousand feet in total width. Over the years a steady release of toxic metals have been steadily draining off into the nearby Lehigh River. Tests reveal that people, cattle, horses, and many fish species show high levels of toxic lead flowing through there bloodstreams. The cleaning up of this particular mess has been underway since 1987 and is presently still in operation even today. 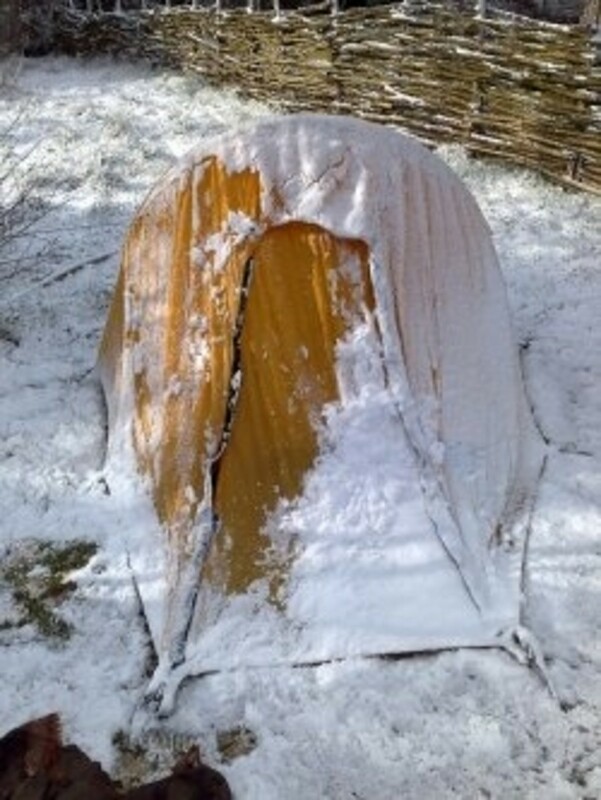 Blue Mountain Ski Resort is a year-round resort located near Palmerton, Pennsylvania. The Blue Mountain Ski Resort is open all year round. Inside of the Cherokee National Forest are many mountains located near Erwin, Tennessee. This particular area of the forest along the Appalachian Trail is a very primitive Wilderness area. On one side of Erwin sits Buffalo Mountain, Rich Mountain is located nearby, and on the other side of Erwin,Tennessee the Unaka Mountains stand tall. A large lookout fire tower sits atop of Rich Mountain and one can see an area dominated by nothing except mountains. Often after darkness the sound of howling coyotes can be clearly heard way off in the distance. The mighty Nolichucky River flows though the area and is very popular with white water rafters. There are many edible and non-edible plant species thriving in this particular part of the backcountry. A few Include the Mountain Ash, Astillbe, Yellow Wood Sorrell, the rare Carolina Hemlocks, wild berry varieties, and very tall Milkweeds. The little slice of heaven awaits you up in the primitive wilderness mountains that fully surround the trail town of Erwin,Tennessee. Mount Rogers currently holds records for being the highest summit and the natural highest point in the entire state of Virginia. Total elevation stands tall at 5,729 feet up into the sky and ranks nineteenth place as the highest summit in the entire United States. The summit was named after William Barton Rogers who was a professor at the University of Virginia and at The College Of William and Mary. Mister Rogers was officially the state of Virginia's first known geologist. Mount Rogers is located directly inside of the Mount Rogers National Recreation Area and the Jefferson National Forest. There is a large abundance of Red Spruce and Fraser Fir forests atop of the mountain. These tree types are typically only found at elevations higher than fifty-five hundred feet or more. 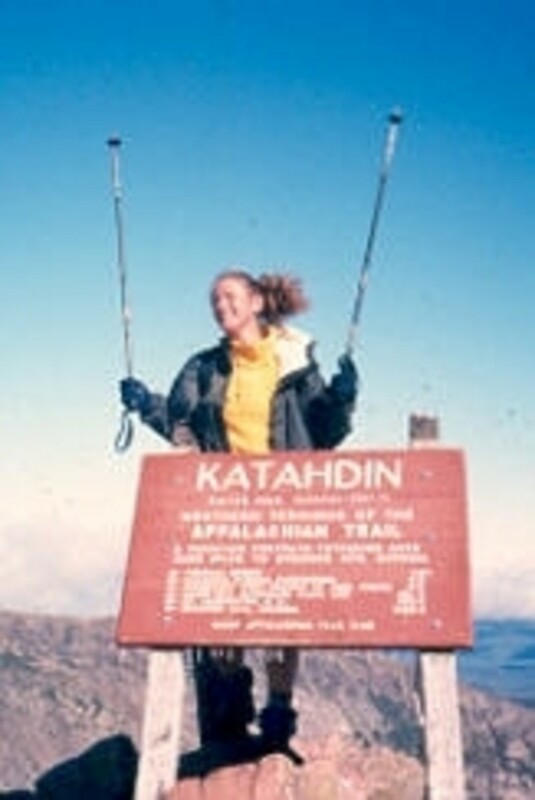 There is alot of evidence atop Mount Rogers of volcanoes being part of the landscape many years ago. 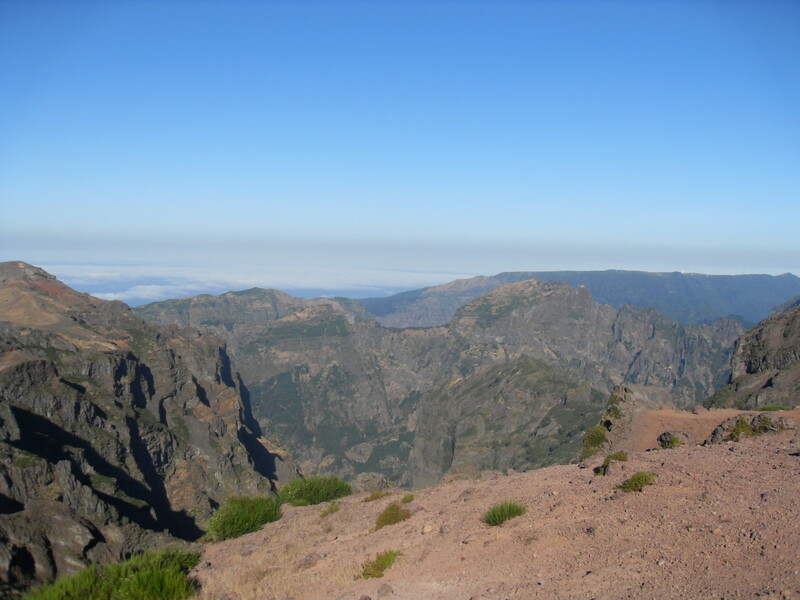 The volcanoes erupted along the axis and later formed the mountain ranges. Mammoth Rhyolite lava flow erupted here long ago and massive volcano rocks still currently litter the entire mountain even today. In 1965 the Grayson Highlands State Park was developed very near Mount Rogers to accommodate the overflowing amount of visitors. In the Grayson Highlands there are wild and free-ranging ponies.The ponies are commonly seen in between Massie Gap and Thomas Knob Trail Shelter. These Shetland wild ponies were introduced to the area by the Virginia state officials many years ago to help control the overwhelming spread of the wild Hawthorn plants. On average, the pony herds are professionaly contained and controlled to nearly one-hudred-twenty ponies at any given time. Mount Rogers is the highest elevation in the entire state of Virginia. The Kittatinny Mountain Ridgeline located in New Jersey offers many pleasant views and the highest elevation point is at High Point State Park. High Point Park is currently the highest point in the entire state of New Jersey at 1,803 feet in elevation. The state park offers a lovely Marcia Lake for visitors to enjoy. 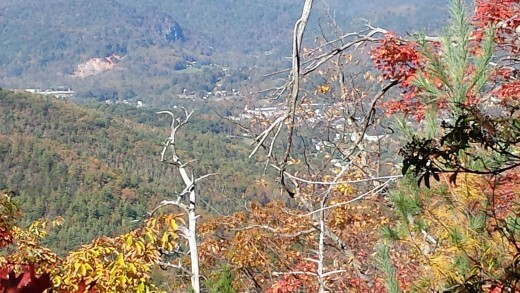 Today the area around the state park is monitered by the Stokes State Forest. 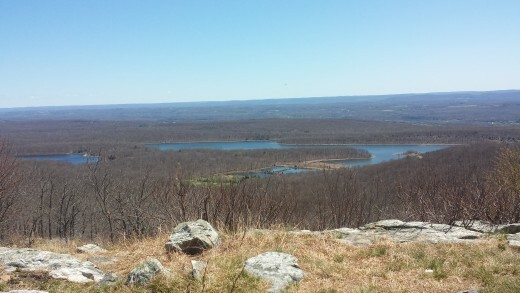 The second tallest peak in New Jersey is the Sunrise Mountain and one can view the Kittatinny Valley down below. The elevation atop of the New Jersey summit of Sunrise Mountain is only 1,653 feet. On the Kittatinny Mountain Ridgeline the elevations commonly only range from three-hundred to nearly seventeen-hundreed feet in altitude. 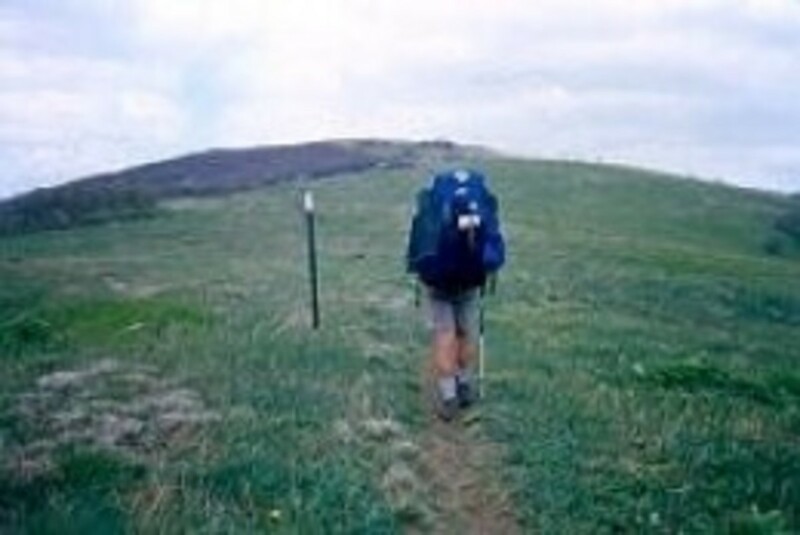 The name ''Kittatinny'' comes from the Native American word meaning "Endless Hill or Great Mountain." Kittatinny offers Culver's Gap, Rattlesnake Mountain, Buttermilk Falls, and a large abundance of wild mountain Laurel growing throughout the Pochuck Valley. The highest point In the entire state of New Jersey is located at High Point State Park.